Home > American Agriculture, Questions	> Regional Food Systems, Are They Possible? Regional Food Systems, Are They Possible? For the most part, infrastructure exists to meet the needs of local markets across the country. Granted, processing facilities in many regions are limited, but generally speaking, are able to provide adequate service to keep producers with product to supply Farmers Markets and direct sales. 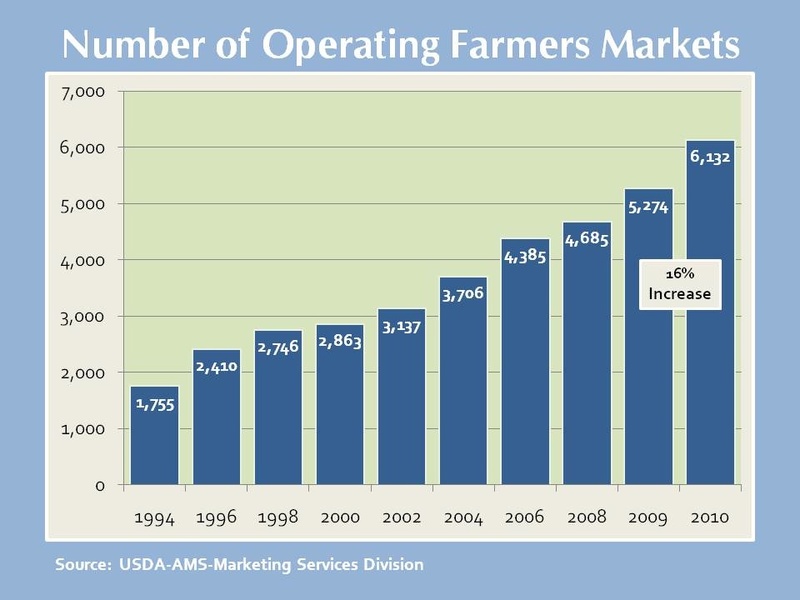 I feel there is general agreement that if more facilities were available and/or existing facilities were able to expand, more farmers and ranchers would be able to market their product on a regional (larger scale) than just locally. The big question is how can we improve the infrastructure to create viable regional opportunities? Specifically, I would like to hear what suggestions folks have to accomplish the following three objectives mentioned by Rob Smart (@JamButter on Twitter). Incidentally, these are three objectives that I would like to see come to fruition as well. What are your success stories and ideas to accomplish these objectives? 1. Rescind the laws restricting raw milk. Raw milk is the gateway to local food, and an impetus for small family farms. People come for the milk, and buy eggs, meat, produce and other farmstead products. In 2005, Colorado passed the herdshare statute. At that time, there was one legal raw dairy in the state. Now, there are more than 80 raw dairies, operating via the herdshare model (private contract between farmer and consumer – raw milk sales are still illegal in this state). We are building a local food supply – raw milk is the gateway to a local food supply. The FDA is aggressively moving to stop this movement. 2. Get the FDA out of our kitchens, our mouths, our health. Let them focus on drugs – that’s their major source of funding anyway. Eventually, they will shrink to an appropriate size and be rewarded by their success rate. 3. Force USDA to focus on wholesome nutrition for the United States food supply instead of global marketing. 4. Allow GIPSA changes for fair beef market. Lift restrictions on meat processors. Let them package scraps for raw pet food. 5. Truth in labeling – notably, GMO-free labeling. Every single ingredient, including how it was processed. 1. No wonder our food system is a mess, the USDA/FDA needs a makeover. Seems like the FDA will be getting more money now, they need to tighten their belt and get rid of “voluntary” rules. 2. Increase mid sized farms- I’ve seen too many family farms go out of business and then built over with sub burbs. We need to preserve our farmland. Stop building over land and increase subsidies to mid sized operations. 4. Monsanto needs to back up, have you had coffee today? How’s the genetically modified sugar?